“Consumers have come to expect not only a great product but great customer service and great customisable applications from Apple products, all factors that have led to such hype around the launch of the Apple Watch. Wearable sales are growing every year but so far are not meeting expectations or predictions. Even Samsung Gear sales have been low, but the Apple Watch has the potential to turn the market around, just as Apple did for smartphones and tablets when it launched the iPhone and iPad – the Apple halo effect so to speak. At Pocket App we are particularly excited to see such a focus on health and health applications which is one of the ways that consumers will interact with the Apple Watch – notifying people when they’ve been sitting too long, daily activity tracking of walking, sitting, standing, not forgetting the heart rate monitor and the new Medical Research Kit that will revolutionise the healthcare industry by using iPhones (and apple watches) for mass research. As the team that launched pocket doctor, the UK’s first mobile health product, 15 years ago, this is a hugely welcome development. In the last couple of years Pocket App has been working with Med ePad to develop “Med eTraX,” an application designed for healthcare professionals to manage and monitor critical patient observations through interactive touch screen tablet devices. I expect that before long we will be seeing similar functionality coming from the Apple Watch. 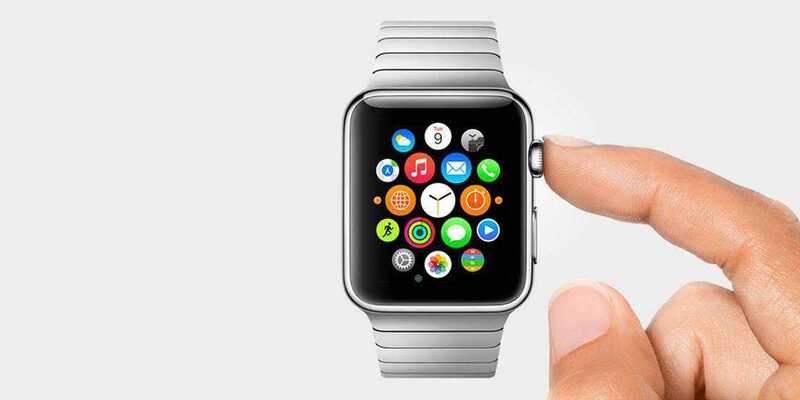 The Apple Watch introduces two new sensors – a heart rate monitor and a pressure sensor. I have no doubt these will bring services that we can’t imagine at the moment – who would have thought including GPS in a phone would lead to Uber, or that a microphone would lead to Shazam? We expect to see some kind of gamification for the heart rate monitor, access control for the pressure sensor, and many more new things that we can’t even begin to imagine. With Apple claiming to have thousands of apps ready to go on launch day it wouldn’t surprise me to see many innovative functions available to use from day one. For me what will differentiate Apple’s offering from the Samsung Gear, is that apple have launched a huge range of options to take it from just a piece of tech and turn it into a fashion item. For instance, having Christy Turlington, a top fashion model, as the main demo person for the watch, and of course asking her which watch version she preferred (the blue sports one I think! ), shows the fashion differentiator. An Apple Watch will be replacing my Rolex and Longines for work and evenings, and my swatch for sport. All of these are design classics so its looks are key. We have begun discussions with many of our clients on how we can support their existing apps with a Apple Watch version, if you think your app would benefit from integration with Apple’s new product get in touch! At Pocket App we believe in new technology, with this in mind we’re offering a free Apple Watch to anyone who books a project* with us before the end of March, so get in touch and secure your Apple Watch today!